This article was originally published in the October issue of the Shout NZ. Unlike the majority of beer styles, whose origins are typically shrouded in a healthy dose of both myth and mystery, the story of Bock beer has a fairly well documented beginning. The first Bock was brewed way back in the 14th century, in the northern German town of Einbeck. Brewed with the palest malt available at the time, and located within one of Europe’s earliest hop growing regions, it is perhaps no surprise that the beer of Einbeck was some of the most highly regarded in Europe. So much so that in 1612, Duke Maximillian I of Munich, invited Einbeck’s most celebrated brewer (Elias Pichler) to come to Munich (Bavaria’s brewing center) and teach them how to brew it. It is believed that these Munich brewers applied the Einbeck process to their darker, endogenous beers. The result was said to be a beer slightly darker and stronger than the beer of Einbeck. This new Bavarian brew became wildly popular, and over the centuries it settled into what we know today as Bock beer. There are several stories about how the beer ultimately got its name. The most common being that, when pronounced with a Munich accent, Ein-beck, becomes Ein-bock, which then evolved into simpler “Bock” beer. Another common story is that the German word for ram (bock) was given to the beer because of the kick one feels as a result of the beer’s higher-than-average alcohol level. Still another story states that the name evolved from “Ainpoekische,” Bavarian for Einbeck, which was shortened to, “Poeckishe Pier”, and then Bock Beer. The traditional Bock beer is a stronger than average (approximately 6% – 7% ABV) full-bodied, amber to brown, lager. They are rich, complex, and malty beers with notes of toast (and to a lesser extent), caramel and dark fruit, with just enough hop bitterness to balance the malt sweetness. 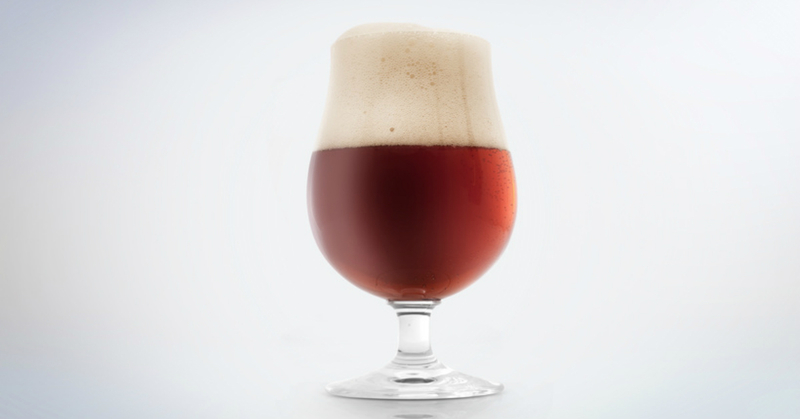 You can expect a traditional Bock to have good clarity and a persistent off-white head. Although fairly rare here in New Zealand, locally brewed examples of traditional bocks are not altogether impossible to come by. 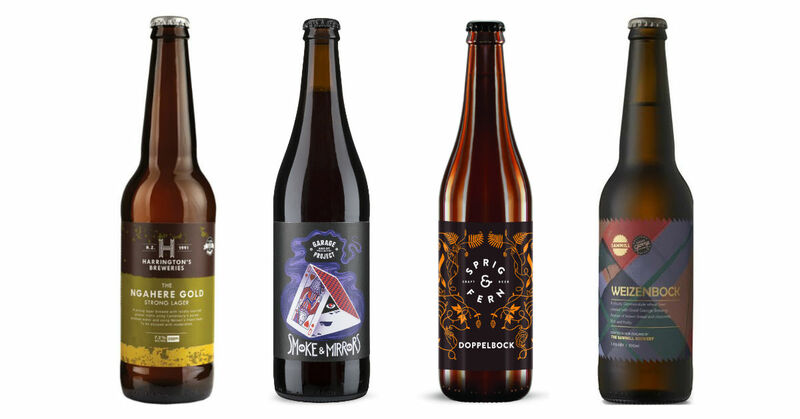 For example, Wellington’s Garage Project offers three variations of (the somewhat) traditional Bock with their “Smoke & Mirrors” (a Smoked Bock), “Dark Arts” (a coffee Bock), and their “Qishir” (a spiced Bock). However, keep an eye out at your favorite craft beer bar as they do pop up on the tap list from time to time. A relative newcomer to the Bock family is the Helles Bock. Helles (meaning pale) Bock is essentially a strong Helles lager, brewed to Bock strength. Traditionally brewed in the winter and tapped in the spring, these beers are also commonly referred to as Maibock, for their association with the May festivals. However it is sometimes argued that Helles Bock and Maibock are technically two slightly different subsets of the same beer, with Maibock tending to be slightly more amber in colour than the Helles Bock. The flavour of the Helles Bock is less malty than a Traditional Bock, and (though still generally low in hop bitterness) the Helles Bock tends to be the hoppiest of the Bock beers. Perhaps due to the reversal of the seasons here in the Southern Hemisphere, a traditional Maibock tends to be fairly hard to come by in New Zealand. However, for a Kiwi take on the style, you might try Harrington’s “Ngahere Gold”, said to be the first commercially brewed Helles Bock in New Zealand. First brewed by Bavarian monks, as a clever workaround during periods of fasting, Dopplebocks (meaning double Bock) are essentially a traditional Bock beer brewed to a considerably higher ABV (averaging 7% – 10%). Dopplebocks are complex, malty beers, which are typically darker in colour and rich with melanoidins, toasty flavours, and often notes of dark fruit, while still possessing the smooth characteristics of a lager. Robust and warming, with a slightly sweet finish, a Dopplebock is the perfect fireside beer. A few locally brewed examples of the style, worth seeking out, are Sprig & Fern’s “Dopplebock” (which just took home a bronze medal at this year’s Brewers Guild Awards), or “The Doctor” by Matakana’s Sawmill Brewery; a modern Kiwi classic for the style. Or, for a smoked version of the style, just grab a can of Northend’s “Pitboss”, you won’t be disappointed. As if the Dopplebock wasn’t extreme enough, sometime in the late 19th century, a few Bavarian brewers began concentrating Dopplebock to produce an even stronger concoction. It basically works like this: You begin by making a tasty Dopplebock. Then you partially freeze said Dopplebock. Because water freezes faster than alcohol, you end up with a vat with watery ice at the top and strong, highly alcoholic Bock beer at the bottom. By removing the ice (about 25% of the total volume), you end up with a very strong beer that is jam packed with concentrated malty, toasty, and dark fruit flavours. The resulting Eisbocks tend to range between 9% – 14% ABV, though some modern examples are much higher. The Eisbock’s expensive grist, and the extra steps required to make such a beer, make it an unusually rare style. However, for an untraditional take on the style you might try “Where is My Mind”, a collaboration beer produced by Raindogs and Valkyrie Brewing Company. Clocking in at a lower-than-usual 8% ABV, this unique Eisbock incorporates a non-traditional dose of late and dry hopping, with a touch of lactose to add sweetness. For a more traditional German Eisbock, keep your eyes peeled at your favorite craft beer bottle shop or online retailer, as they do show up on the shelves from time to time. Unlike the other styles of Bock mentioned, which more or less represent a different step in the evolution of a style, the Weizenbock is an altogether different beer. First brewed in 1907 by Schneider Weisse Brauhaus, a Weizenbock is essentially a German Weissbier (Wheat Beer) brewed to Bock strength. Unlike other Bock beers which are clean tasting lagers, a Weizenboch is brewed using a weizen ale yeast strain. This German wheat beer yeast produces the spicy and fruity characters that make traditional wheat beers so divisive, and sets the Weizenbock apart from the other styles of Bock. To get your hands on a quality German Wheat Beer that is brewed right here in New Zealand, one needs look no further than Matakana’s Sawmill Brewery who has repeatedly won medals for their much loved “Weizenbock”. For a style of beer with such a long an enduring history around the world, it is a shame that Bock is not more celebrated here in New Zealand. A fact that is perhaps ironic given the long established affinity that Kiwis have for malt-forward amber lagers. So, dear reader, if you find yourself overwhelmed by the nearly unlimited array of hop-heavy beers on the market, and the pure, unadulterated flavours of malt are what you seek, consider reaching for a Bock on your next visit to the bottle shop. Previous post NZB Podcast Episode #20 - Hey Day Beer Co.